In one of the most strongly worded reports yet, the United Nations has called out the military’s actions in Arakan State as evidence of “genocidal intent”. Information collected by the UN’s Independent Fact-Finding Mission on Myanmar [Burma] established accounts of systematic attacks against civilians, unlawful killings, forced labour, sexual violence to obtain information and entrenched impunity by the military, known as the Tatmadaw. Instead of answering the report the government and military has remained silent. He also explained that the Facebook page, which the military uses as the platform of choice to make breaking news announcements, demonstrated the military’s willingness to make their operations public. “In the past, because of the lack of information technology, the media faced difficulties to get information from the Tatmadaw. Today, the Commander-in-Chief has opened a Facebook page with his name and posting true news and information what Tatmadaw is doing, how it helps, at what place and at what time, who has received what and whom they have talked to,” added Thein Tun Oo. The USDP will submit an urgent proposal in the parliament in response to Facebook’s ban on the pages related to the Tatmadaw, Thaung Aye, USDP’s Pyithu Hluttaw representative for Pyawbwe constituency told DVB this afternoon. “We are writing the proposal now, but we need to take two to three days because it is not enough to refer information stated in the news. 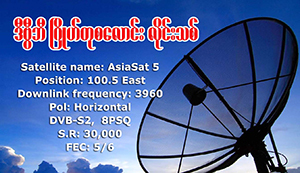 We need to see the announcement from Facebook,” Thaung Aye said. Libby Hogan contributed to this report. All they care about is their own litters. Look at the face of this mass murderer ! This Min Aung Hlaing should be taken to ICC, before all the traces blood dries out from the killing fields of Rakhyne. Still now he is not allowing UN and HRW to visit Rakhyne. One of his biggest achievements he made a crack in the Buddhist religion, a peaceful religion. I have to show my passion for your generosity supporting people who have the need for assistance with this content. Your real commitment to passing the solution up and down had been rather effective and have frequently empowered regular people like me to get to their endeavors. Your own interesting information denotes this much a person like me and further more to my peers. Warm regards; from all of us. I would like to express some appreciation to you just for rescuing me from such a incident. Just after looking throughout the online world and coming across recommendations that were not helpful, I figured my life was gone. Existing without the answers to the difficulties you’ve fixed by means of your good website is a serious case, as well as ones that might have adversely affected my entire career if I had not encountered your blog. Your own personal training and kindness in dealing with all things was useful. I’m not sure what I would have done if I hadn’t come across such a step like this. I am able to at this point look forward to my future. Thanks a lot very much for your expert and result oriented help. I will not hesitate to recommend your web site to any individual who should have guidance on this issue. I really wanted to construct a quick message in order to express gratitude to you for all the precious recommendations you are giving at this website. My incredibly long internet look up has at the end of the day been compensated with professional details to exchange with my classmates and friends. I would state that that many of us readers are definitely lucky to be in a useful community with so many lovely professionals with interesting tricks. I feel pretty grateful to have used your webpage and look forward to really more fabulous minutes reading here. Thank you once more for all the details. I simply desired to thank you so much once more. I am not sure the things that I would have done in the absence of the opinions revealed by you relating to that subject matter. It previously was a depressing scenario for me personally, however , observing this well-written strategy you treated the issue took me to cry with contentment. I’m just thankful for this work and pray you comprehend what a great job you happen to be doing instructing men and women using your webpage. Probably you have never got to know all of us. I precisely needed to appreciate you once more. I am not sure the things I would have worked on in the absence of these pointers provided by you regarding such a subject. It seemed to be a real frightful circumstance for me, however , understanding the specialized mode you managed the issue forced me to cry with delight. I’m just happy for your work and pray you know what a powerful job you’re undertaking instructing some other people thru your web blog. Probably you’ve never encountered all of us. I have to express my gratitude for your kindness giving support to those people who really want guidance on the area. Your special commitment to getting the solution all around was unbelievably invaluable and has without exception empowered women just like me to realize their goals. Your useful tips and hints entails much a person like me and substantially more to my office colleagues. With thanks; from each one of us. I was looking through some of your articles on this internet site and I conceive this website is very informative! Retain posting. I have learn a few just right stuff here. Certainly price bookmarking for revisiting. I surprise how so much attempt you place to make this sort of great informative website. hello!,I like your writing very much! percentage we keep up a correspondence extra about your article on AOL? I require a specialist on this area to solve my problem. May be that is you! Taking a look forward to look you. You really make it appear so easy along with your presentation but I in finding this matter to be actually something which I think I’d by no means understand. It seems too complicated and extremely extensive for me. I am having a look ahead in your subsequent put up, I will attempt to get the grasp of it! Very good info can be found on website. “I said I didn’t want to run for president. I didn’t ask you to believe me.” by Mario M Cuomo. jklioaywvx,Thanks for ones marvelous posting! I actually enjoyed reading it, you will be a great author.I will always bookmark your blog and will idcozq,come back from now on. I want to encourage that you continue your great writing, have a nice afternoon! So we just wait for the announcement from Facebook? Thank you so much for giving everyone an exceptionally terrific chance to discover important secrets from this site. It’s always so lovely and also stuffed with a lot of fun for me personally and my office mates to search your site not less than 3 times weekly to find out the fresh items you will have. Not to mention, I’m also at all times pleased concerning the wonderful concepts you give. Selected 4 tips in this post are particularly the best we have all ever had. I intended to put you a little note to help give many thanks once again considering the amazing principles you’ve featured in this article. It has been really shockingly generous with you to allow openly exactly what a number of us could possibly have made available as an electronic book to get some dough on their own, primarily given that you might have tried it in case you decided. The inspiring ideas in addition served as the easy way to fully grasp that most people have the identical interest the same as mine to know great deal more in respect of this condition. I believe there are some more fun occasions in the future for folks who scan through your blog post. Hi there! I know this is kinda off topic but I’d figured I’d ask. Would you be interested in trading links or maybe guest writing a blog article or vice-versa? My blog addresses a lot of the same subjects as yours and I feel we could greatly benefit from each other. If you are interested feel free to shoot me an email. I look forward to hearing from you! Wonderful blog by the way! Whats Taking place i’m new to this, I stumbled upon this I’ve found It absolutely helpful and it has aided me out loads. I’m hoping to contribute & assist different users like its aided me. Great job. I precisely needed to thank you very much once more. I’m not certain the things I would’ve achieved in the absence of the type of smart ideas revealed by you on my problem. Entirely was a very horrifying circumstance in my view, nevertheless considering the professional technique you resolved the issue forced me to weep over gladness. I’m happier for the work and in addition hope you are aware of an amazing job you are always providing teaching others through your site. I know that you’ve never met all of us. Greetings from Idaho! I’m bored to death at work so I decided to check out your blog on my iphone during lunch break. I enjoy the information you provide here and can’t wait to take a look when I get home. I’m shocked at how quick your blog loaded on my mobile .. I’m not even using WIFI, just 3G .. Anyhow, superb blog! Have you ever thought about adding a little bit more than just your articles? I mean, what you say is important and all. But just imagine if you added some great graphics or video clips to give your posts more, “pop”! Your content is excellent but with pics and clips, this website could certainly be one of the greatest in its field. Excellent blog! It’s best to take part in a contest for among the finest blogs on the web. I will advocate this site!